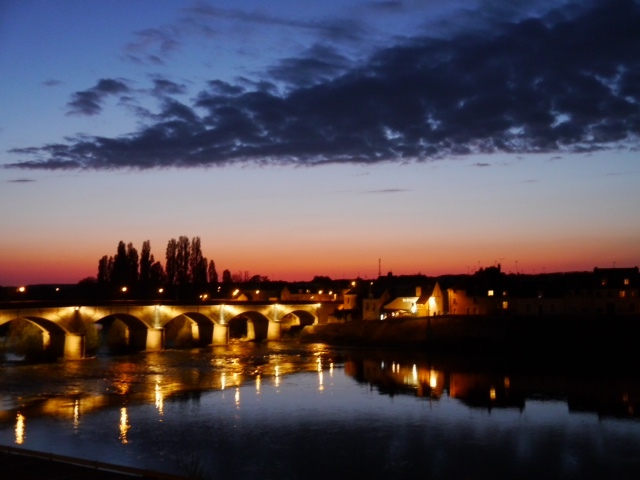 This week Mike & I are spending a couple of days in Amboise, in the Loire Valley, before returning to business in Paris. 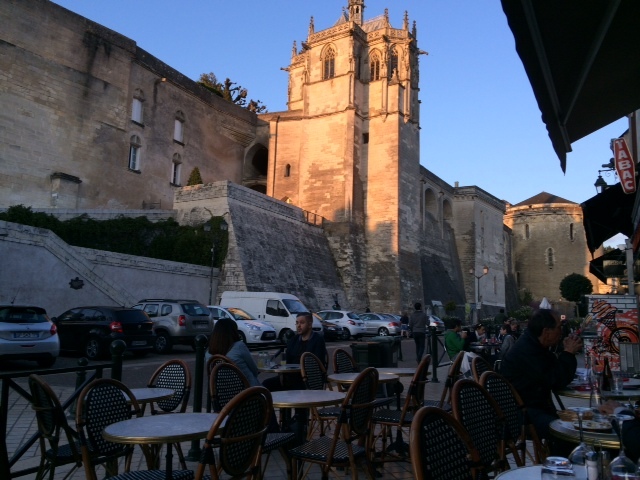 The last time we were in Amboise was 1980 on our first trip to France. We decided it was time to return particularly since it’s only hour by train from Paris to Tours nearby. First time round we had a Eurail pass so were limited to exploring on foot. It meant we didn’t get much past the outskirts of the village. This time we’ve hired a little car so we can go further afield. We didn’t really come with any particular plans so began the day wondering where to go. Obviously the area is known for it’s stunning chateaux but, where to begin. 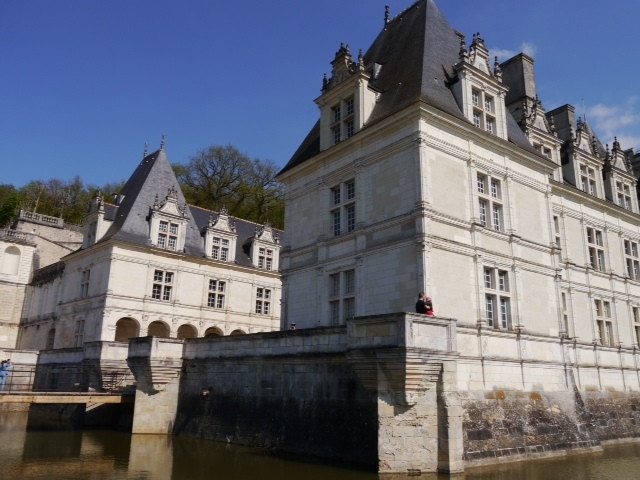 I imagined it’s easy to get chateau fatigue just as happens with museums, so we decided in the short time we have here that it was best to limit ourselves to two or three chateaux. 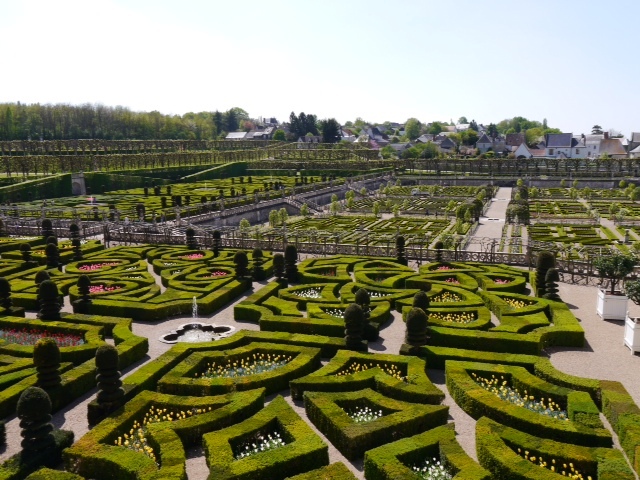 I quickly did a bit of research and picked the Chateau of Villandry as first stop because of it’s famous garden, especially the vegetable gardens. I really enjoy growing veges in small plots around our garden at home so wanted to see what a famous vegetable garden looked like. The broad fertile valley of the Loire Valley, often referred to as the Garden of France, is perfect for growing all sorts of produce. 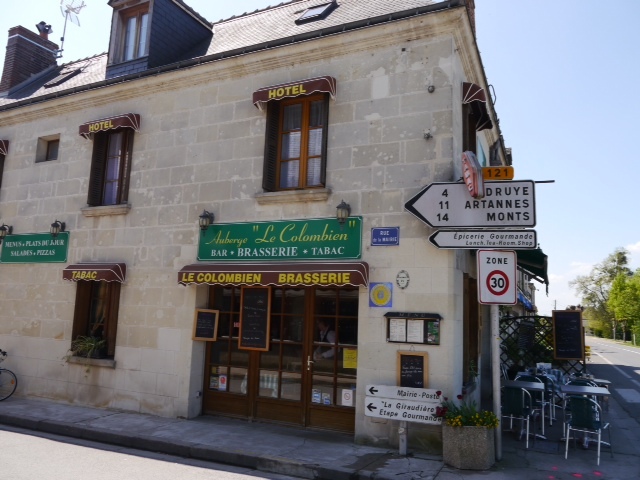 As usual we had a slow start and my navigation skills were a little rusty, so arrived in Villandry at lunch time, later than we’d expected. 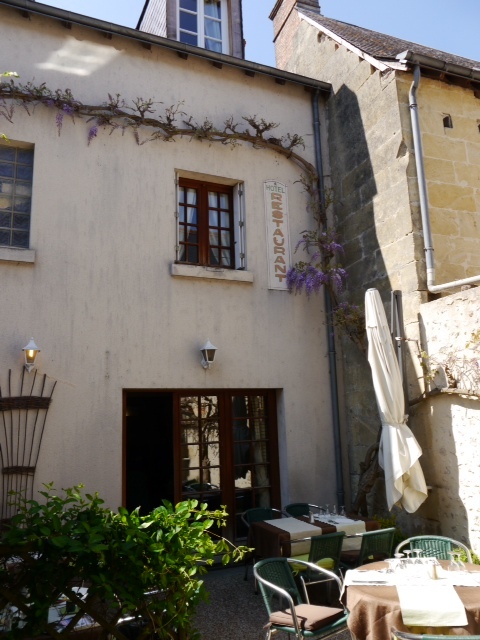 It seemed most sensible to start with lunch at the local auberge to build up the strength to do the chateau and gardens! 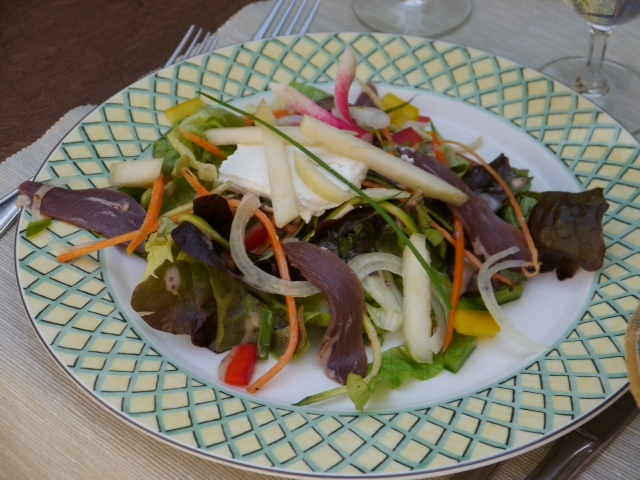 With the thought of vege gardens to come, we both began with a simple salad of local vegetables topped with fresh goats cheese and slices of smoked duck breast. We followed that with panfried eel accompanied by a glass of sauvignon blanc from a vineyard close by. 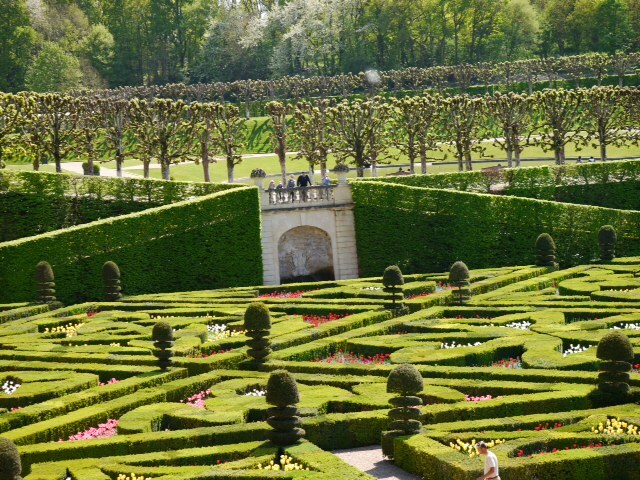 The chateau and gardens of Villandry are stunning – we both kept going ‘wow’. 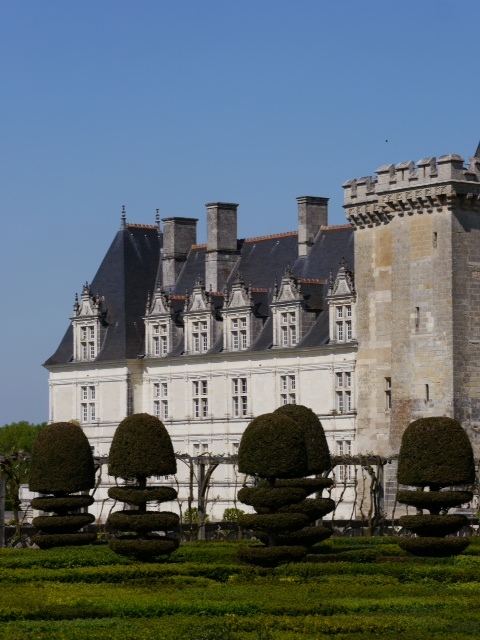 The tower part of the chateau dates back to medieval times but most was built around 1536 – it was the last of the great chateaux built along the Loire during the Renaissance. The architect wanted to create a decorative kitchen garden as well as a beautiful house. 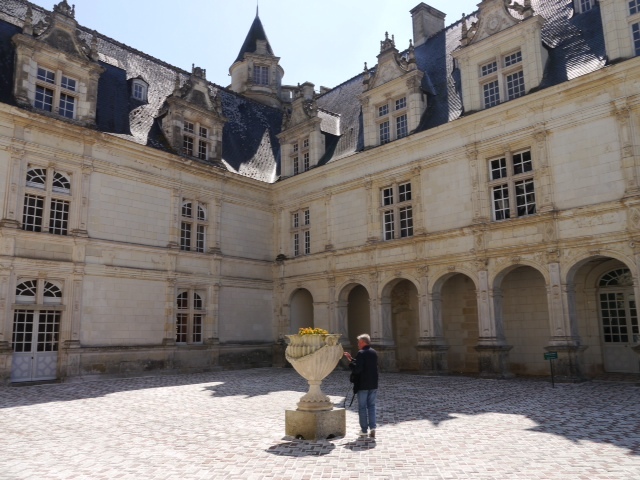 That lead the chateau’s kitchen gardeners combining both influences from the geometrically laid out kitchen gardens created by monks of the Middle Ages and the ornamental features of Renaissance Italian gardens which included fountains, arbours and flower beds. They wanted to create gardens for both roses and the exotic vegetables that 16th century explorers bought from the Americas. 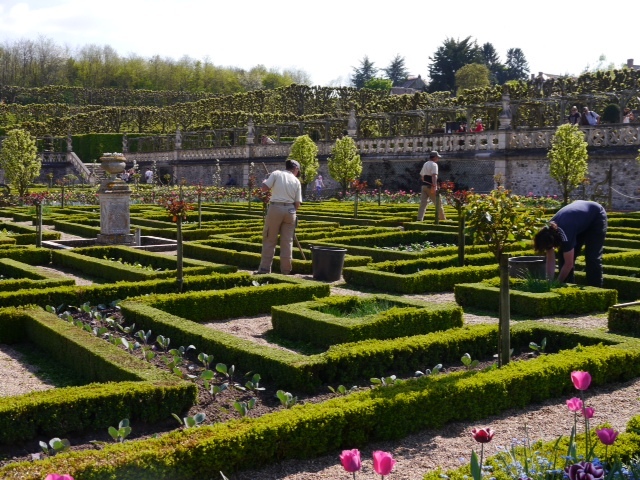 As often happens with great houses and gardens, after a two or three hundred years Villandry fell into disrepair. Early in the 20th century the property was bought by a Spanish doctor, Joachim Carvallo, and his American wife in order to exhibit their large collection of old Spanish paintings. 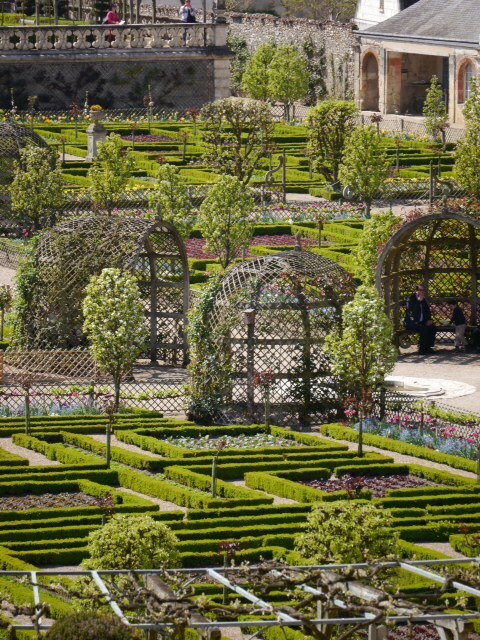 He decided to give up his career and devote his life entirely to Villandry, restoring the chateau and re-establishing the gardens as they were during the Renaissance. He did it and these days the work is continued by his grandson. 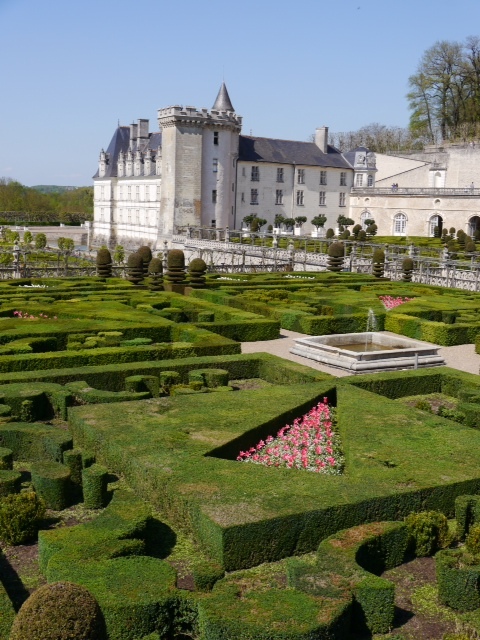 You can chose to look at either the gardens only or both the chateau and gardens. If you go, definitely do both as you get the best overviews of the gardens from the second floor of the chateau. Every season in the vegetable and herb gardens there’s a planting plan for each section on the basis of a three year crop rotation. Colour and shape of the plants in each part is carefully worked out so that everything is co-ordinated. 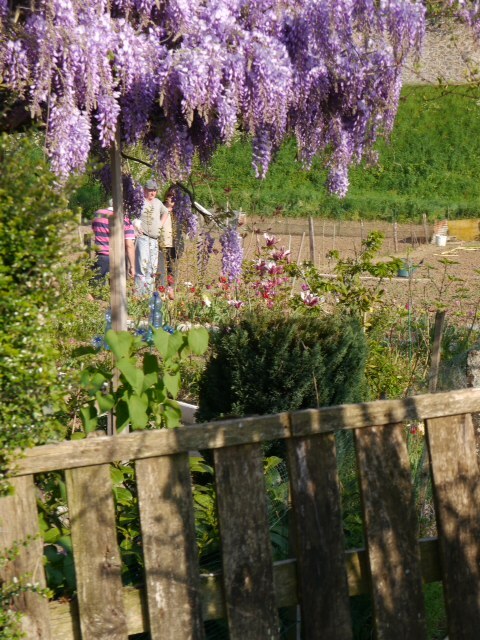 And, for the last five years the garden has been organic. As well as the vegetable and herb gardens, there are the four squares of love gardens, woods, a water garden, sun garden and maze. It’s boggling!! However the oddest thing is that the vegetables aren’t eaten. Not even given away. We couldn’t figure that one out. 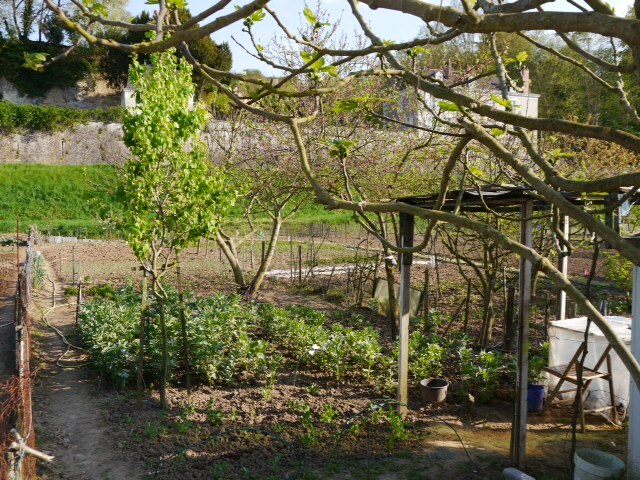 In complete contrast on the way back into Amboise we stopped at local garden allotments running alongside the river. Locals were carefully tending their plots and planting spring seedlings for summer crops. I’m sure everything coming from those gardens will be eaten!! We can highly recommend Villandry if you haven’t been before!